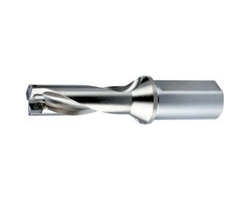 Titanium presents significant machining challenges, especially during milling, as heat from cutting forces transfers very rapidly back into the cutting tool, instead of dispersing with the chips. OSG has developed specialized tooling, such as variable helix mills and “true” 4-flute ball nose mills with advanced coating technology, to combat the heat build-up encountered when machining Titanium Alloys. 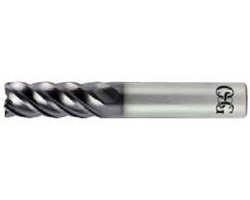 VPH-GDS Drill: Ideal for nickel alloys and difficult to machine materials.